Despite one of the worst economic conditions in generations, the Legislature’s majority passed the largest increase in taxes & fees in CT’s history, which equaled over $2 billion dollars to our residents. The budget directly increased taxes on middle class families. CT’s rate of spending and borrowing is unacceptable. Voted against budget implementation proposals that increased governmental spending without accountability, and proposed alternative budget options. Objected to excessive bonding that places overwhelming debt on taxpayers and future generations. 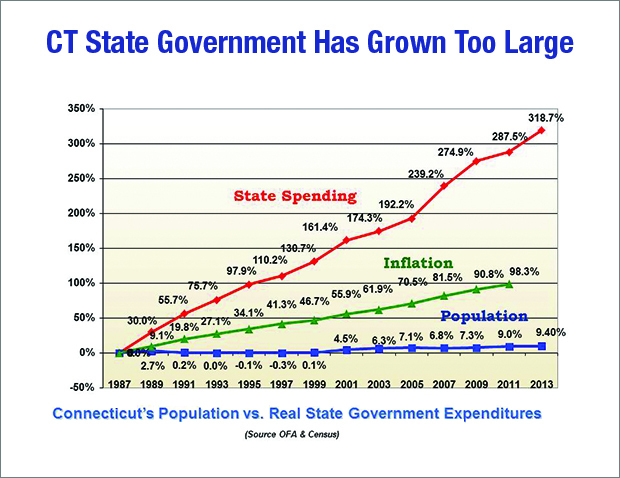 CT already has the highest debt ratio per person in the nation. Recent budget/bonding have only added to this problem. Proposed to eliminate longevity bonuses, which reward state employees simply for long term employment, a practice that is outdated and far too expensive to maintain. Proposed to evaluate “defined benefit” pension, one of the fastest growing pieces of the state budget, against the benefits of a “defined contribution” plan, similar to private sector pension plans around the country. Good Evening Tony, I heard you this morning on WICC with Mike Bellamy. (4-23-2018). You said you were going to post the Republican and Democrat new CT state budget proposals. I am looking for links to those. Please help. Thanks, Gene Rolleri P. S. I hope you become our governor.